It’s really not hard to enjoy the new Versys 1000, especially when it comes with a combination of modern cutting-edge style with Kawasaki’s exclusive engineering style. 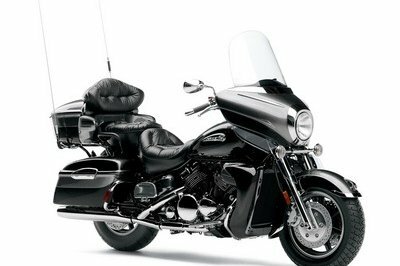 You’ll also get the ultimate style and great flexibility in the multi-purpose Versys 1000. Yeah, the bike is that awesome. The spacious color-coded panniers allow you to have a whole lot of trunk space. Plus, there’s a tank pad that makes your Versys 1000 Grand Tourer a really attractive Grand Tourer bike. At the heart of this vehicle, there’s a liquid-cooled, DOHC, 16-valve 1,043 cm3 in-line four engine with a bore and stroke of 77.0 x 56.0 mm that is useful for bringing a strong low-mid range torque with smooth power release. When compared to the Z1000, the Versys 1000’s engine brings a stronger low-mid range with the reduced peak power and both peak power and torque happen at lower rpm. As far as user ability and functionality is concerned, the Versys 1000 has that covered too, thanks to a tough-design multi-function instrumentation with an analog-style tachometer and LCD with speedometer, fuel gauge, odometer, clock, dual trip meters, current and average fuel consumption, remaining range, and external air temperature. Enjoy your riding with this exclusive and modern Versys 1000 Grand Tourer. 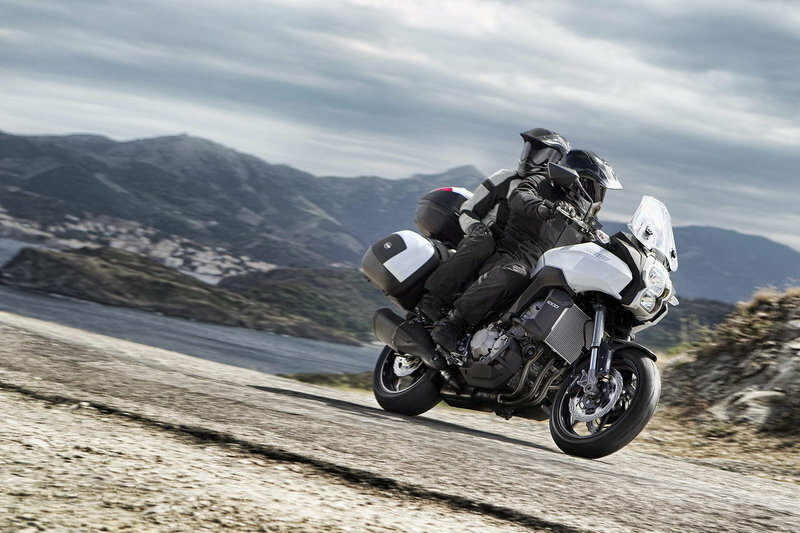 Find out more about the Kawasaki Versys 1000 Grand Tourer after the jump. 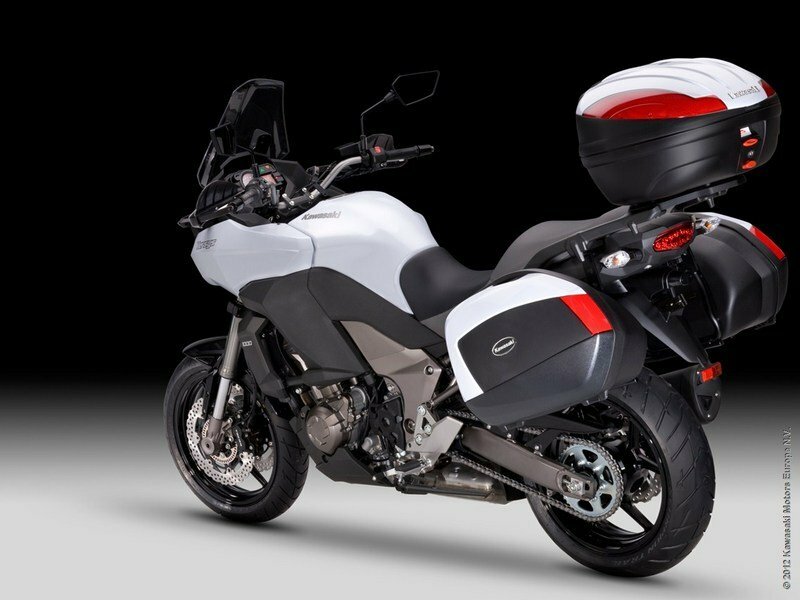 Supreme style and ultimate flexibility, the Versys 1000 Grand Tourer comes complete with capacious colour coded panniers and a helmet swallowing top case as standard. Plus a tank pad and you have a truly distinctive and desirable Grand Tourer. Top case providing a maximum 47 litres of storage space. Will fit most full face helmets (two helmets). Exclusive Kawasaki design to match the style of the motorcycle. Comes complete with carrier base plate and colour matched cover. Rigid, steel sidecase carrier with stabilising brackets. Black powder coated. Lockable Monokey pannier cases with 2 x 35 litre capacity. Will fit most full face helmets. Including covers in body colour. 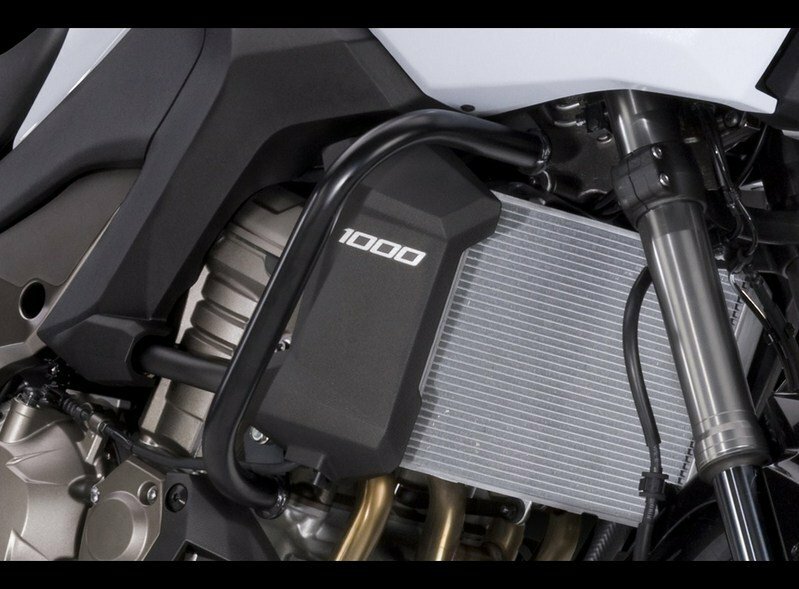 To maximise the Versys 1000’s fun factor, engineers wanted to provide the most exciting engine possible. The engine needed to deliver more than just performance figures. The engine they chose was a 1,043 cm3 In- line Four, tuned for flexibility. Superb throttle response, strong torque at all rpm (especially in the low-mid range), and a seductive intake howl ensure that. Featuring the same system offered on the 2012 ZZR1400 flagship, the Versys 1000 KTRC system combines the best elements of Kawasaki’s two traction control systems, S-KTRC and KTRC. 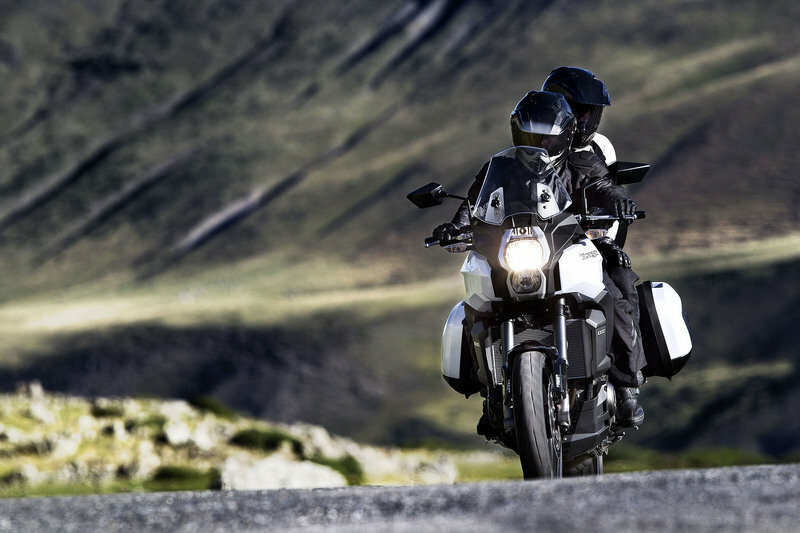 Three modes cover a wide range of riding conditions, offering either enhanced sport riding performance or the peace of mind to negotiate. Fixing the cylinder inside the fork inner tube allows a larger cylinder diameter to be achieved: 25 mm (compared to 20 mm on a conventional fork). The larger piston size contributes to a very composed suspension action. The fork is adjustable for rebound damping (right-side only) and preload. Rear suspension positions the shock unit and linkage above the swingarm. This arrangement frees up space that would be taken up by the lower linkage of a conventional Uni-Trak suspension. This enables a larger pre-chamber, which in turn allows the use of a shorter muffler, contributing to mass centralisation. Aluminium twin-tube frame design features frame beams that go over engine, allowing a narrow construction that is easy to grip with the knees. Lightweight and highly rigid, the frame uses the engine as a stressed member. The frame contributes to handling, offering a firm, planted feeling, good stability and light, nimble turning. Lightweight 6-spoke wheels measure 17” – ideal for sporty street riding. ABS is standard on the Versys 1000. 300 mm front petal discs gripped by opposed 4-piston calipers offer strong stopping power with good brake touch and feel. At the rear a 250 mm petal disc is slowed by a single-piston caliper. Pirelli Scorpion Trail tyres are matched to the chassis, offering excellent stability at highway speeds and good grip on a variety of street surface conditions. Adjustable windscreen has a stepless range of approximately 30 mm. Height can be adjusted without tools (using two knobs on the front of the screen) to suit rider preference. Functional bodywork was designed to offer increased wind protection. 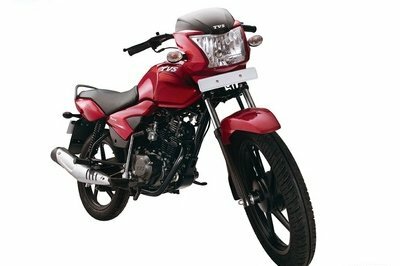 Complementing the windscreen, voluminous front cowling sides and flared side fairings help protect the rider’s legs, further contributing to rider comfort. 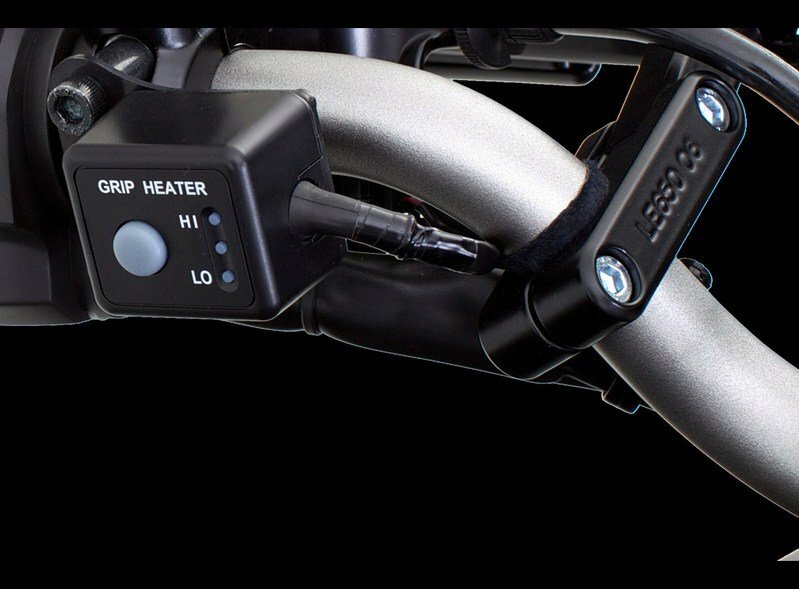 Wide, rigid-mount handlebar offers easy control, especially for low-speed manoeuvring. Positioned to offer a natural grip, it allows the rider’s elbows to be slightly bent when sitting in a relaxed, upright stance. The seat’s slim design and the knee grip characteristics of the tank afford good freedom of movement, allowing the riders to change sitting position should they so choose. Thick urethane increases comfort and contributes to a seat height that places the rider in a position of fun controllability. A choice of Full Power or Low Power modes allows riders to set power delivery to suit preference and conditions. Low Power mode limits output to approximately 75% of Full Power and uses a milder throttle response. (Reduction of both power and throttle response varies according to engine speed (rpm), throttle position and gear position.). 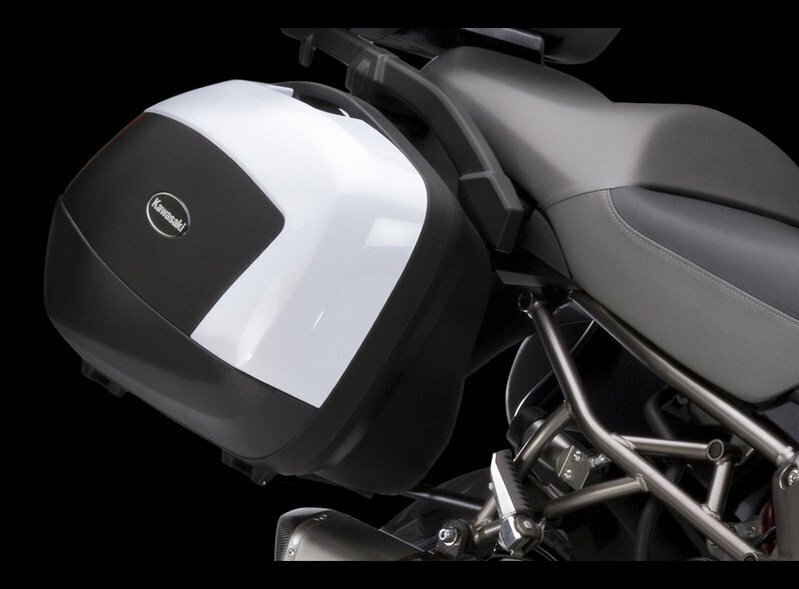 Thickly padded seat (about double the cushioning of the Z1000 seat) provides the comfort to enable 1000+ kms in the saddle. 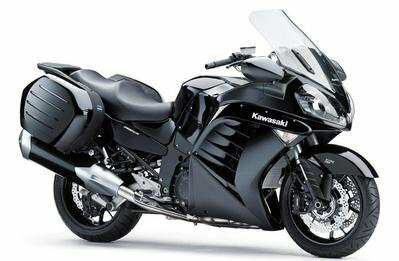 The rear seat has even deeper cushioning, and is probably Kawasaki’s most comfortable passenger perch. Seat leather material was carefully selected and a great deal of effort was spent to ensure a good fit. Spacious riding position is complemented by footpegs with (hollow) rubber coatings. Footpeg brackets are also rubber mounted to further dampen vibrations. Robust steel pipe rear frame enables the substantial payload of 220 kg – plenty for carrying two passengers and luggage. Ergonomic grab bars provide comfortable passenger grips. 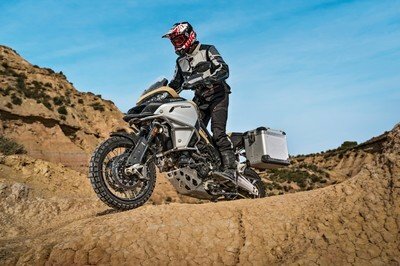 Taillight and rear turn signals are positioned for good visibility even when using the top-case and panniers. Liquid-cooled, DOHC, 16-valve 1,043 cm3 In-line Four with a bore and stroke of 77.0 x 56.0 mm offers strong low-mid range torque with smooth power delivery. Compared to the Z1000, the engine delivers a stronger low-mid range with a slightly reduced peak power. 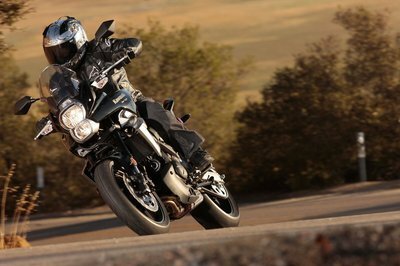 Both peak power and torque occur at lower rpm than on the Z1000. 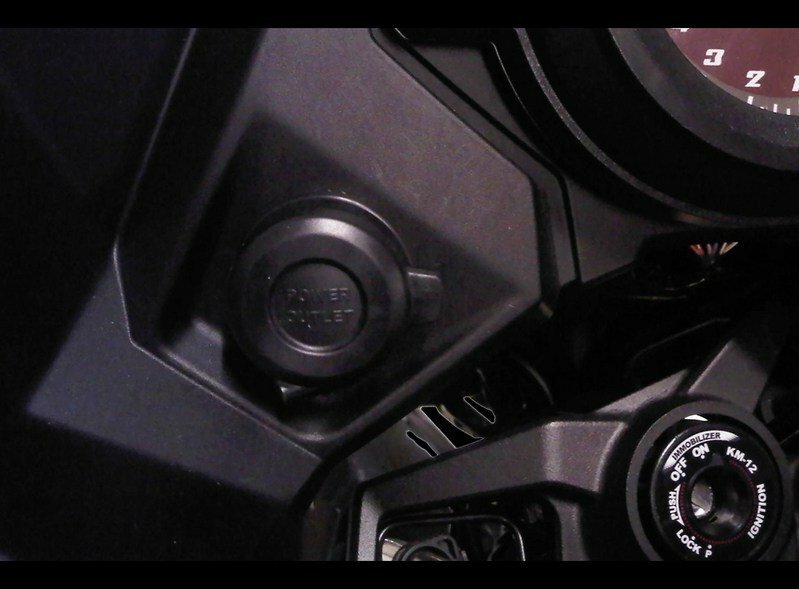 21 L fuel tank contributes to the Versys 1000’s touring potential. With engine and transmission settings, range (calculated) on one tank could be 400 km. New-design fuel gauge inside the fuel tank enables a very precise estimation of remaining range. By displaying an average reading, slopes do not affect the reading. Advanced ECU programming contributes to the Versys 1000’s high fuel efficiency. Careful adjustment of fuel volume and ignition timing when speed is constant improves fuel consumption without compromising driveability. The Economical Riding Indicator appears on the LCD screen to indicate favourable fuel consumption. Tough-design multi-function instrumentation includes an analogue-style tachometer and LCD with speedometer, fuel gauge, odometer, clock, dual trip meters, current and average fuel consumption, remaining range, and external air temperature.